How to Contact The Rum Howler to have your Spirit Reviewed! Please leave a short message regarding your inquiry. If you wish your contact request to be kept confidential, please indicate this in your email. Although I am located in Canada, I have made appropriate arrangements to receive samples from the US and abroad. Please read my Sample Policy found here (Sample Policy) before making contact. I also provide specialized consulting services to spirit producers and distributors to help assess the quality of their products. My fees for this sort of service are very reasonable (at least I think so), and you may use the above email address to contact me in confidence about such matters. Copyright is inherent when an original work is created. This means that the producer of original work is automatically granted copyright protection. This copyright protection not only exists in North America, but extends to other countries as well. This means that all of the work produced on this blog is protected by copyright, including all of the pictures and all of the articles. These original works may not be copied or reused in any way whatsoever without the permission of the author, Chip Dykstra. If you are a producer, advertiser or publisher and wish to use, or republish any of the materials or pictures on this website (in full or in part) or have myself submit new material to you for publication, please be advised that all of my articles/reviews/photographs are my intellectual property. Please contact me using the email address above. And yes, I expect to be compensated for such use. I have been writing reviews of distilled spirits for about 7 years now. It began when I posted a few mad ramblings on the Ministry of Rum which gave my views on a few of the more popular Rum Brands. Soon after those ramblings were published, I was contacted by the owner of a website called Rum Connection. He was wondering if I would be interested in writing a few reviews for his website. I decided to give it a try, and the result was my first published review. The folks at Rum Connection apparently liked what I wrote, and during the next year I published about 15 reviews for them. Reviewing rum was so much fun that I decided to create my website, but not just for Rum. I made the decision that I would discuss all distilled spirits, and when I opened this website in October of 2009, I made sure I added a few Whisky Reviews, some Gin Reviews and a couple Tequila Reviews such that most of the major distilled spirit categories were represented. (Since opening the website, I have expanded the range to also include Vodka Reviews, Liqueurs, Port and Dessert Wines, Brandy and Cognac.) Although my focus is primarily upon Rum and Whisky, it is my belief that acquiring knowledge and skill with respect to all spirits serves to broaden my perspective and is beneficial to my over-all understanding of distilled spirits. For what it is worth, people (and industry) seem to like what I write. Since opening the website, I have been asked four times to act as a Spirits Judge for the annual Canadian Whisky Awards; as well I have twice been asked to join the international panel of judges for the International RumXP Competition at Rum Renaissance in Miami. Having said that, I think it would be true to state that the reviews on this website represents more of a knowledgeable layman’s perspective than that of a professional taster. I hope you enjoy the reviews on my website and find value in them; but always remember that an opinion is just that, an opinion. Do not take my writing too seriously, for opinions vary and in the end, only you can really decide if a spirit gives you enjoyment. Use my reviews as a guide, but trust your own tastes and preferences as well. Note: I sometimes receive comments and messages from persons who wish me to comment on the value of bottles of whisky and rum that they have in their possession. And from persons who wish to use my blog as a means to sell such bottles. Although I thank you for reading my blog, I cannot help you in these matters. My suggestion for you is to visit Whisky.com or the Ministry of Rum where it appears help in these matters may be provided. Yo7 haven’t posted anything in almost a month. Is this site still active? I took a hiatus due to some health issues which were affecting a few family members. The absence was supposed to be only a week or so but complications caused a longer delay. Things are getting back to normal(ish) and I will resume my reviews and posts shortly. Thanks for missing me. Hello Chip,I’m a new reader to your articles and I enjoy them very much..particularly your rum reviews..keep up the great work! the one unfortunate drawback is that some of these great rums are not available where I live. 2 examples of this are Penny Blue and Rum Nation. I live in Ontario and in my inquiries with the Liquor Control board of Ontario they have no plans in the forseeable future to aquire these products..a real bummer..such is life!😕..look forward to more of your reviews and insights..cheers! I ry to taste and review spirits from all over the world. This means that some of the spirits I am sent are not even available to me as a retail item. When I find a particularly good rum and learn that I cannot get another bottle, I feel the same distress as you. Thank you for the kind words and keep reading my reviews. 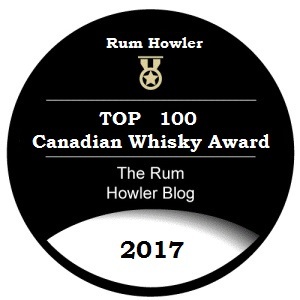 Will you be providing a Top 100 Canadian Whiskey’s of 2018 soon? Hey Chip! Hope you’re doing well. I recently saw a new Canadian whisky on the shelves here in Calgary and knowing you’re a fellow Albertan you might have seen it as well: Bearface Whisky. Was tempting to buy it as I never heard of them (apparently it came out two months ago in August from what I can find), and was curious to see if you’ll put it in your plans to do a review of it. Cheers. Hey… Just a question for ya, perhaps you can help.. Wisers small batch seems to be in very short supply. Any idea when it hits the shelf again? I was smart enough to stock pile a couple yrs ago but it’s getting low. Hi Chip, I was wondering if you may sometime do a review of Richland Rum. It is produced in Georgia not too far from Atlanta where I live, and while I am no connoisseur, I thoroughly enjoyed it. It is exciting that spirits are being made here in GA now and I would love to hear a more expert opinion of it – not sure if it is being exported to Canada yet though. I love the blog, thanks! So many rums and so little time. If the spirit makes it my way I will certainly give it a go. I have been reading your reviews for over a year now and agree with them most of the time:) I’m hoping you can review more of the Doorly’s line of rums other than just their XO. The 8yr and 12 yr are great in my opinion and I would love to hear your thoughts on them… I’m sure many others would as well. Thanks for all of the great Info. Cheers! Hello Chip – The link to the review of Appleton Extra Old 12 seems to be broken. I love the site and come here often. With a rating of 94 I would love to know more! The Appleton Estate Extra 12 Year old has been discontinued, replaced by the Appleton Estate Rare Blend 12 Year Old. When I reviewed the new Rare Blend I deleted the review for the old Appleton Estate Extra so as not to cause confusion between the two. Enjoying your work very much, while it is not a tough job to drink rum, to so eloquently describe it is an art in itself. It was also noted that you aren’t doing this to elevate your own ego, since no 3 page bio was found. So I feel you are truly an authentic medium for those who desire knowledge to acquire it from a unbiased source; even if it is just your honest opinion. Back to the knowledge thing. I would find it interesting as I expect that many of your readers would to know more regarding the definitions and distinctions between the various rums types you review. In particular, “French” vs “Jamaican” and what does “overproof” really mean. I find the science related to the distillation as intriguing as the end result. More in-depth information on how a pot rum and a column rum would differ. That kind of additional information that brings substance to the conversation when one is sampling within a group. Thank you for doing what you do. I look forward to your reply. I enjoy tasting rum (and other spirits as well) and describing the flavours and my enjoyment thereof is what I am good at. For now I will leave the researching of the various so called styles and so forth to those who are inclined to do such work (and who have the time). Those who are interested in such things chould start with Dave Broom’s excellent book “Rum”. Love your website! Great job! Question: I am going to Russia next year and want to take something truly American as a gift (I live in America). So hence I thought a great bottle or two of Bourbon would be a great idea. What two bourbons would you recommend? I thought Jefferson’s Ocean might be one great choice. Hi from Vancouver Chip. Thanks for the entertaining and informative reviews. Whisky noob here, great to have some guidance! Do you or any other readers know of any whisky tasting groups in Vancouver that gather to sample and compare notes? Love to find a group like that. Legacy Liquor store has some events, but looking for any other suggestions. I’m Based in Edmonton, so I am unfamiliar with the tasting groups in the Vancouver Area. Any recommendations for rum tours, excursions out of Punta Cana in the DR? Will be there in January. Also any recommendations on what rums to pick up while there? Ones that I cannot get here in Canada. 2 to 3 bottlles. My friends tell me that Brugal has a nice distillery tour. Check with your hotel Concierge for details. I don’t have a comment. Found your article/reviews on Schenley OFC, a Canadian whiskey that used to be sold in the U.S. We live in state of Georgia in the U.S. We would like to know if it is still being produced. If so, where can it be purchased? We loved it. We cannot find out anything. Do you happen to know? Maybe one of my readers knows. Thanks for all your reviews and advice on Single and Blended Scotches. I am always looking for the best value but, without giving up much Quality. I found this interesting Scotch Te Bheag and can you please give me your “valued” Opinion on it. I know it is blended but, hoping it can come close to the big boys. Thanks so much and cheers. I’ve not heard of that particular whisky until now. When I checked the distribution, I noted it is in Alberta, but carried by a small company with no sampling budget for reviews. This means it is unlikely I would be able to advise you as I will not likely have a chance to taste it. Sorry. Hey Chip, have you tried Legendario Anejo Blanco? I picked up a bottle for Cuba Libres and I was very impressed. Your blog is the first place for other opinions on rums. Earlier this year I was supposed to receive the full Legendario Line-up, but the only one to show up was the Anejo. It is a very nice rum. Maybe I’ll reach out and see if I can snag a bottle of the Blanco which is now listed in Ontario. Thanks for the reach out and reminder. Cheers! That was rather entertaining, thanks! Wow – super impressive work! It’s a delight to see a man who takes things seriously. I wanted to ask if you’re open to publishing cocktail recipes on your site. I have a trio of original, Game of Thrones inspired cocktails that I’d love to share with your audience. We have tried almost every rum with a rating of 96 and up. Love the Dictador XO Insolent and ElDorado 21. Can you point me in the general direction to procur a bottle of the Flor de Cana Centarrio 21? At 97.5, we must try this before we depart this earth. Thanks for any help you can provide. Sorry Bruce, but I haven’t seen a bottle for sale for a couple years now. Hi Chip. I always enjoy reading your blog. My name is Alan Brennan, I’m the managing partner of Sou’West Bar and Grill in Prince Edward Island. We’ve been drinking rum here for a long time. For generations, Capt. Morgan white was the big one. But there’s a rum revolution happening here. Many Islanders travel to the Caribbean for vacations. We now carry up to 30 rums. And we don’t sell Capt. Morgan. We’re only open May 18-Oct 1. But all my buddies have made the move to fun quality rums. We all have our go to rum. For some it’s Plantation, others El Dorado 15, Some it’s Flor De Cana 12. One thing is for sure, we’re not going back. On a personal note, the occasional customer asks me? Why don’t you serve Capt. Morgan? I just tell them “It drives men foolish” and I’m too old to be bartender and doorman both. If your ever on the East Coast, let me know. I’d love to sit down and sample some bottles with ya. Even better, introduce you to my buddy’s. Alan Brennan. Hi, Chip. I’ve been enjoying your reviews, and testing them out for some time. You haven’t steered me wrong yet. Today I had the joy of introducing my 25-year-old niece to Single Malt scotch for the first time….I’ve already taught her to know a good gin from an indifferent one. Your reviews helped me find a “beginner” scotch that was still excellent. Life is too short to drink bad liquor. Thanl you for such a thoughtful comment. My weekend was a bit of a downer, but your kind words were just what I needed to pick up my spirits. Of course I am now curious which ‘beginner’ scotch you introduced your niece to? Re: Monkey 47, it is made from fermented molasses. Even though it would be a juniper flavored light rum (very unusual), I would say this is a flavored rum. We are used to calling juniper flavored “vodka” gin, but really, this is gin (juniper +46) flavored rum. Although a molasses based spirit is used in the gin’s construction, this molasses spirit is rectified to the point that it has become a neutral spirit. There may be vestiges of cane-like flavour, but calling this neutral spirit a rum is a bit of a stretch. However, rather than debate what is or is not a rum, we should both just pour a half oz of Monkey 47 into our glasses (with or without ice) and enjoy ourselves. It is simply a wonderful gin! I have enjoyed reading your reviews – I am surprised how aligned your ratings are with my tastings. A number of my friends have now been exposed to quality rums and now big fans. A few of us are using your reviews to help decide on our next rum to try. Thank you from fellow rum drinkers in Edmonton. Hi Chip…Thank you so much for your blog-I do not make a liquor purchase decision without consulting it. Just a quick question – is the Appleton Estate Extra Old 12 Year that you reviewed & awarded 94/100 in Dec 2014 the same as Appleton Estate Rare Blend 12 Year now available in Alberta? According to Appleton Estate the two blends are the same. 1st of all I want to thank you for your website. 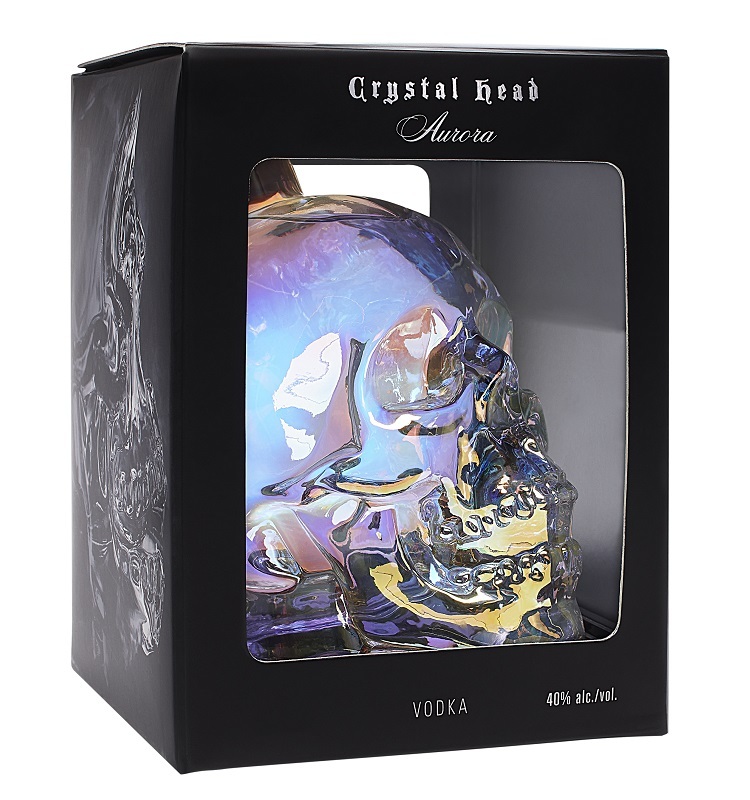 I have found it to be very informative, in my decision making, of spirits to try. 2nd of all I wonder if there is a way to view previous years reviews? Finally I have been in Jalisco, Mexico for several weeks and looking at a bottle of ¨Casa Sauza extra XA anejo¨ (5yrs old) and/or Don Julio 1942 anejo tequilas. Both are limited runs. Have you had any experience with either of these tequilas? If so what are your thoughts? All of my tequila reviews and be found using the menu at the top of the page, just click “Tequila Reviews”. Hi Chip, I’m reaching out from the U.S. looking for some information on a bottle of Canadian O.F.C. given to me by my wife in 2011. A very small clatch of my best friends opened the bottle (corked) on one special occasion and were transformed. It was the most fantastic flavor and presentation we had had of the many Whiskys we’ve enjoyed over the years. The bottle as I said was corked and shaped somewhat like a “genie” bottle. As labeled, aged 12 years and distributed out of N.Y., NY. The (tax stamp?) over the opening had what I believe to be a date of 1952. Question is, does this version still exist? Thank you for your time and educational reviews. I have no information on your particular bottle of OFC, but I note that earlier this year Davin De Kergammeaux (Canadian Whisky: The Portable Extpert) tweated that Shenley OFC had been discontinued. Sadly, it seems that OFC (One of the Best Mixing Whiskies out there) has been phased out by the brand owner. Along with everyone else here, really enjoy your blog and how you assess spirits. I have recently gotten into sipping rums and thoroughly enjoy them. I have been a bourbon guy for years but unfortunately, so many great bottles of bourbon are getting harder and harder to come by. I would definitely like to see you review some bourbon in the future though as I like how you structure and rate each spirit. Thanks for the love Chris. I have done a few bourbon reviews and have a few more scheduled for the new year. So stay tuned! I’m the former managing editor of the MD/DC Beverage Journal and I enjoy your reviews very much. That having been said, I am somewhat puzzled by your rating system. For example, you absolutely rave about the taste of the whisky Canadian Rockies 21 Year Old (Batch 001), and yet you give it an “In the Mouth” rating of 57.5 out of 100. I don’t get it. Thanks for pointing out the typo. Spell Check is wonderful but it can’t help me out when I make a dumb error. In the Mouth is always out of 60 so the score in that section of the review should be 57.5/60. And Yes the Whisky is extremely good! After having read more reviews, It became apparent that the “In the Mouth” scores were based on 60 and not 100, and the one I pointed out was just a typo. I tried to delete my comment, but couldn’t figure out how. Be that as it may, I enjoy your unique breakdowns on the boozes. If I had known about your blog when I was with the Journal, I certainly would have injected some of your comments into my features. If you have a minute could you recommend a guide/walkthrough to Rum/Cognac (I’m more inclined to rum as the price is much less for high quality vs cognac)? I’ve tried cheap ones and I hated all of it, except for some white rum that was easy to dring and mix (matusalem) and I’d like to give it another try (I hated wine in the past, but now I can enjoy most of it with a good meal). I was thinking to start with “Appleton Estate Extra Old 12 Year” or “Flor de Caña Centenario 12” as they’re pretty cheap (20-25$) and you’ve praised them both. Thanks in advance, I’ll share your blog with all my friends that like rum, hope they find it as usefull as I do. The best guide I can point you to is my reviews. They are pretty thorough and should give you a good understanding of what each spirit tastes like. Your palate preferences might be different from mine, so experiment a little. Just read the review on Brugal XV Ron Reserva Exclusiva. I’m from the Dom. Rep., and just wanted to let you know that you are correct. The XV on the bottle does tend to suggest 15 year old rum but it serves as a marketing tool, when it’s actually less than 8. The XV is actually a re-branding, new presentation with similar flavor and Brugal Extra Viejo… XV = Extra Viejo. Thank you very much for the confirmation of my thoughts upon the XV on the rum label. As indicated in the review, the rum is very nice indulgence. I have noticed that the Brugal lineup seems to be bucking an industry trend and been improving their overall line-up over the past several years.. I am a great fan of your site,i read your reviews daily and especially carefully before buying a more expensive bottle of booze(especially rums,i am definitely a rum-guy,started with whiskies,advancing with cognacs and settling with rum for good),if your ratings been high,i bought/tried various rums and you been almost always right to my satisfaction. Our taste seems to usually match somehow.Thank you for this,and this great,fun-to-read and informative site and all the effort put in this. Back to the topic,i am a follower of your great trend of mixing cocktails with high-quality spirits,my friends been as shocked as yours been probably. The very first time:) You might imagine how it worked out. i took the cucumber slice but also a half of a lime to spice it up. Im new to the world of rhum, my question is which rum in your opinion is the ”easiest” to sip for a beginner?? Im use to low cost rum (capt.morgan, appleton, havana club anejo, etc) . The two higher end rum i tasted and like the most for now are Diplomatico exclusiva reserva and Ron Zacapa 23 . I have triee Appleton Rare blend 12 years and Flor de Cana 12 years and found them very dry and more of an alcool burning taste in the throat. Based upon your current likes and dislikes, I would suggest El Dorado 12 year old and Ron Millonario. Would love to see a review of Plantation Stiggins’ Fancy Pineapple Rum! Really have appreciated your site. I tasted that rum at Lobo Plantation, a rum bar in Sydney, for the first time three nights ago. Loved it !! Normally one spiced or flavoured rum will be enough for me in a session but the Plantation Stiggins’ Fancy Pineapple Rum is so good I kept ordering it all night. As one who has recently discovered the joys of rum, I was wondering if there any taste testings in the Edmonton area. I know there’s the rum fest in a couple months, but are there any smaller ones being held on a regular basis? I am unaware of any scheduled tasting events. Sometimes I run the odd event, but have nothing on my calendar. Hi Chip, I’m enjoying your countdown on spiced rums. Is there any chance you could also do one on flavoured rums ? At some point, perhaps, but it is not in the cards for this year. The struggle is actually having enough flavoured rums to do an actual countdown. I hope you do, if only so I can read your opinion of this one http://stolenrum.com/products/stolen-spiced/ , it was like licking an ashtray at 4 o’clock in the morning. Hi Chip! I hope you don’t mind me just posting on your main contact page – couldn’t find anywhere more appropriate. I was wondering if you could recommend a cognac that is as similar as possible in flavour profile to the Courvoisier VSOP Fine Champagne Cognac you reviewed back in December 2014. I have thoroughly enjoyed this in cocktails only to learn it has since been phased out in favour of a new formula from Courvoisier. I’ve been unable to find another brandy quite like it, despite trying a large number of Cognacs, Armagnacs and other brandies. On that note you might also want to consider revisiting some of your Cognac reviews as many of the major houses have “updated” their lines, usually for the worse! You are quite right that Courvoisier is a different beast from most cognacs. I have no specific suggestions for you as almost every cognac I have tried I have reviewed and the only brand with any similarity in style is Hine, but that similarity is just passing. I’m wondering if you’d consider reviewing some of the Bespoke Tonic Syrups. I have Liber at home. I was at a bar that likes Jack’s (I think they meant Jack Rudy but not sure). Anyway mixers can be a great addition to a mixed drink, or ruin it. Mayube some of the bitters options too? At this point wandering into the realm of syrups and bitters is not something I am considering. Given more time and experience with cocktails that may change, but that would be a distant horizon. I enjoyed your article on mixing gins. 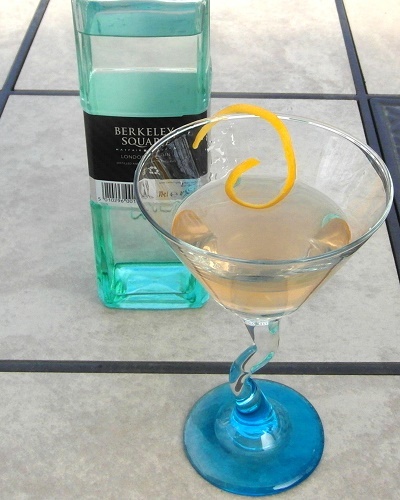 I love an occasional martini, but mostly I drink G&T when not having rum. Since it’s been a year and half since I last posed the question, I think it would be interesting to try some of the different tonic syrups along with your Q along with your favorite mixing gin and see what comes of that. I think the alchemy of gins and tonics may create some interesting experiences. I will say that the best gin and tonic I’ve ever had was made with Jack Rudy’s at Husk Restaurant in Nashville. The gin was great but the tonic made it memorable. Thanks for your work. Always interesting reading! Hi! Tried to comment on the Canards story but couldn’t find a place.